Think green, think Cullen. Mark Cullen is Canada’s Gardening expert. Listen to Mark’s weekly green feature on 680 News Toronto, 1310 News Ottawa, 660 News Calgary, News 1130 in Vancouver and 570 News Kitchener/Waterloo. 680 News Toronto, The Green File airs Thursdays 11:24 am, 3:24 pm, 7:24 pm. Fridays 2:24am. Saturdays 11:24 am, 3:54 pm, 10:24 pm. Sundays 8:24 am, 6:24 pm. Mondays 2:24 am. 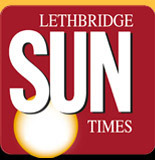 660 News Calgary, The Green File airs Thursdays during the 10am, 1pm and 7pm hours, and Saturdays during the 6 am, 10 am and 3 pm hours. News 1130 Vancouver, The Green file airs Wednesdays at 10:24 am, 3:24 pm and 8:24 pm. 570 News Kitchener/Waterloo, The Green File airs Thursdays 8:12am and 4:12pm, Fridays 7:12am and 5:12pm, Saturdays 8:12am and 10:12am. Sundays 9:12am and 11:12am. 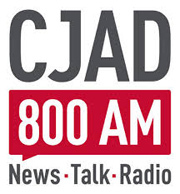 CJAD 800AM Montreal, Tune in every Friday for my weekly gardening feature on The Andrew Carter Morning Show. 570 News Kitchener, Mark appears regularly on The Gary Doyle Show. Tune in for my weekly segments on www.myFMradio.ca Friday mornings between 7-7:30 a.m.
Mark offers great tips for environmentally conscious gardeners in his weekly column in the New Homes and Condos section of the Toronto Star’s Saturday edition. Mark is garden editor for Reno and Decor magazine 6 times per year. For more information visit www.renoanddecor.com. Mark is garden editor for Active Life magazine. His column appears 6 times per year. For more information visit www.active-life.ca. Mark is gardening editor for the Harrowsmith All Canadian Almanac and Harrowsmith Garden Guide. For more information visit www.harrowsmithalmanac.com. Every Wednesday visit ‘From the Garden Shed’, Mark’s weekly blog post.